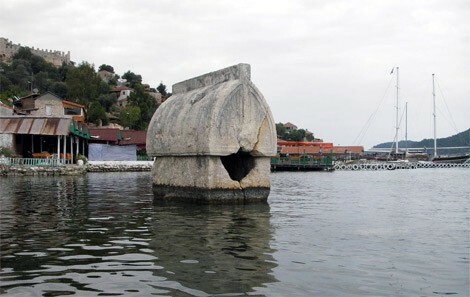 Your representative will greet you at the port of Antalya, you will board your comfortable vehicle and travel to Demre. 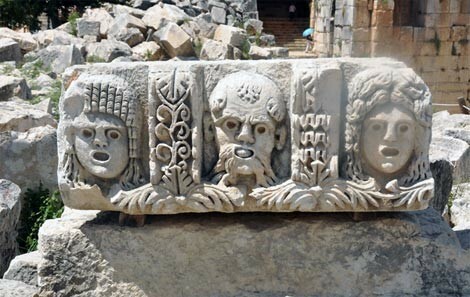 Demre, known as ancient Myra, was an important city in Lycian times. 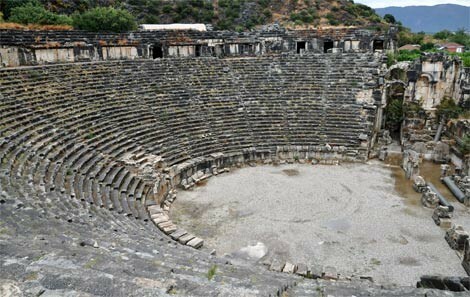 You will witness the best examples of Lycian tombs at Myra.The city is well known for its amphitheatre with 38 rows of seats (the largest in Lycia) which is still in a relatively good condition and the plethora of rock-cut tombs carved in the cliff above the theatre. 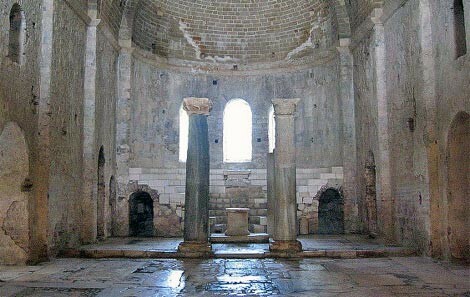 Myra is as well the home of St. Nicholas church, the ruined Byzantine church containing the tomb of St. Nicholas, a bishop of Myra. 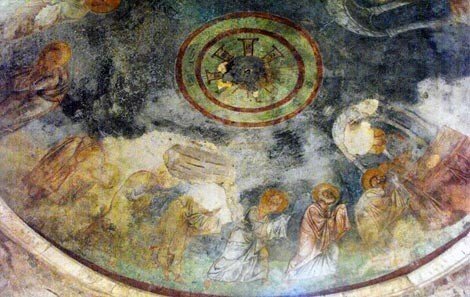 Best known as the patron saint of children, who was born at Patara araund AD. 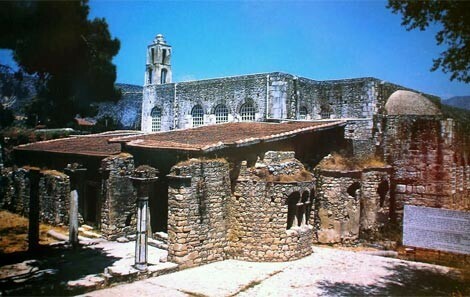 300 and bishop of Myra where he died. The miracles he performed in life time and stories that surrounded him have identified today in the West with Father Christmas. 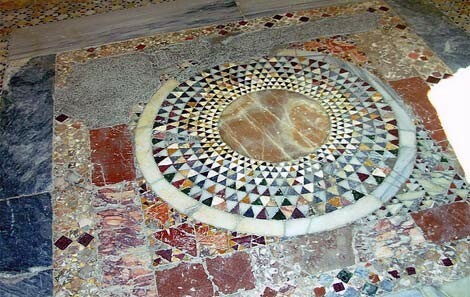 The church also contains many fine mosaics and murals. 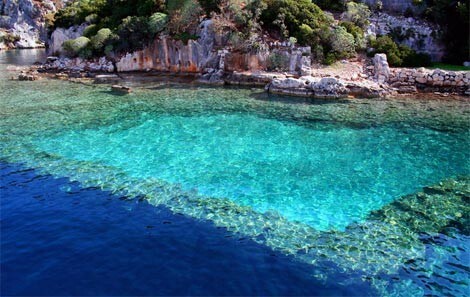 After lunch, we will sail over turquoise waters to the picturesque Kekova Island. 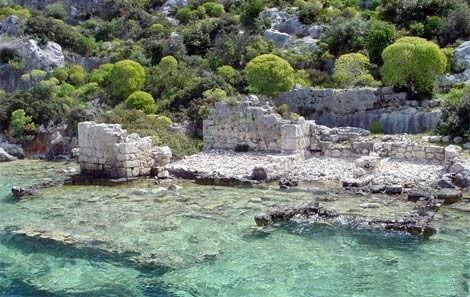 Discover the extraordinary underwater ruins of the sunken city of Kekova. 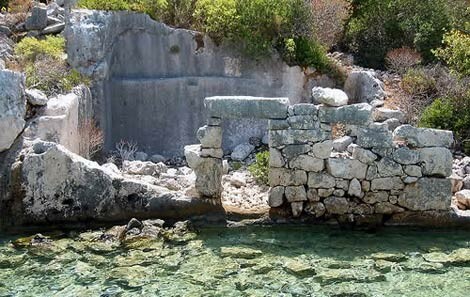 Remnants of buildings, stairs and pavements can be seen below the clear turquoise waters. 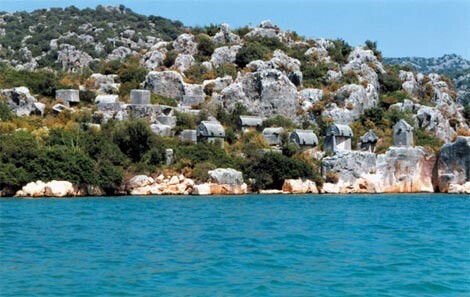 Kekova is classified as a protected area in January 1990. Therefore diving and swimming have been prohibited at the sunken city area, however you can still cruise slowly along the coast. 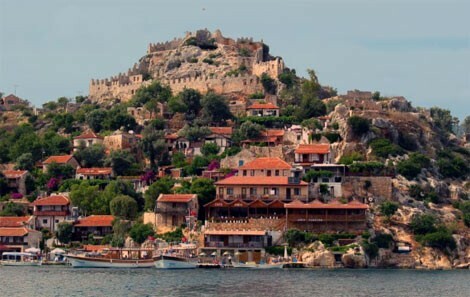 Simena castle is also one of the most distinct landmarks of Kekova area, situated high above of ancient Simena (Kalekoy) where sarcophagi and tombs are scattered along the way. 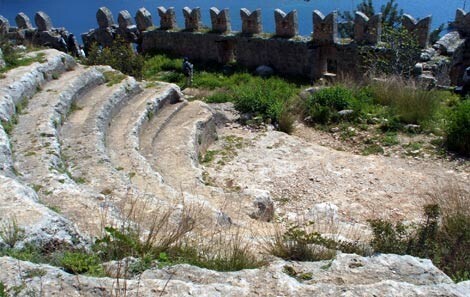 The castle as well has a small theater. Not to be missed, Ucagiz is the old village that remains the perfectly authentic little seaside hamlet, as the government does not allow new building. 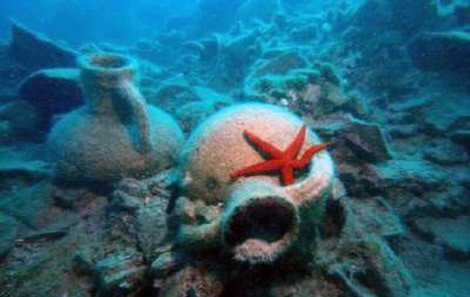 Old houses are interspersed with tall stone Lycian tombs over 2000 years old with some of the tombs half submerged on the sea here. 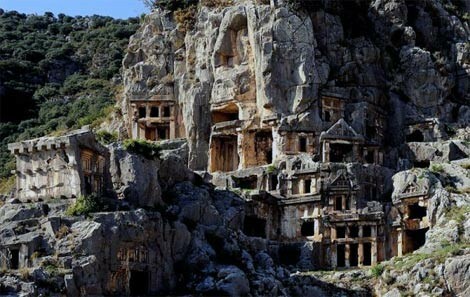 After visiting Ucagiz village, we will return in the late evening to Antalya where tour concludes with a hotel drop-off to your Antalya city center or your port of call. 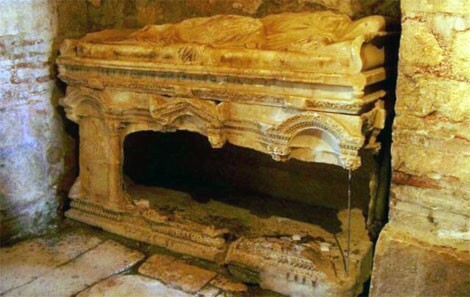 This tour requires a bit of walking and we suggest you wear comfortable shoes. As it can be very hot in summer months, please bring sunscreen, sunglasses, hats and any other necessary sun gear with you.